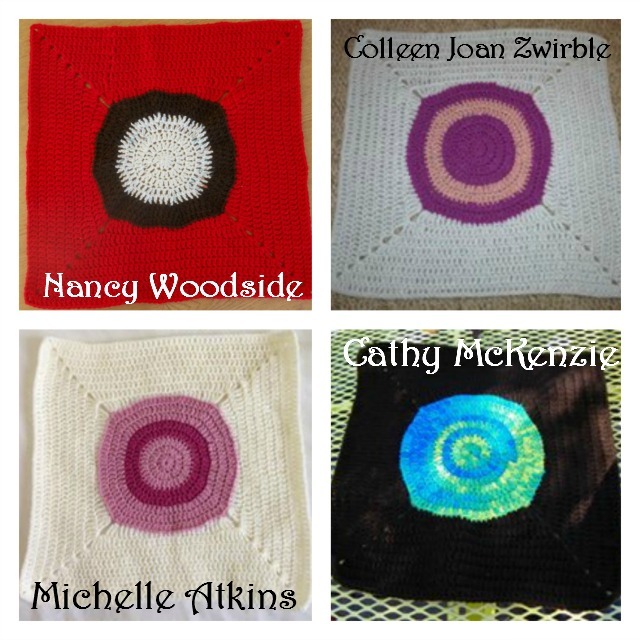 Happy Friday and Hello to all the lovely crocheters who are hooking along with me on this CAL! This CAL ended November 2015. The pattern is available in my Ravelry Store. We are going to have some beauties by the time we are done, judging from the photos I have received!! 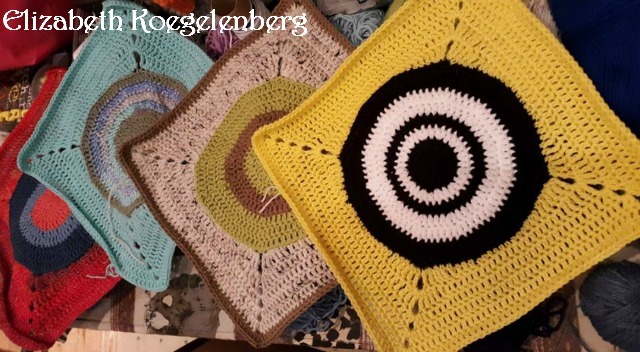 Elizabeth Koegelenberg is a very enthusiastic crochet-a-long(er) and is making no less than four cushions at the same time! A lot of people say they "hate" doing their cushion backs as they just want to finish their project once the front is done. So I thought we would get most of the cushion back squared away before we started with the fun bits! The back is made from two double crochet stripe sections. Section 1: Beige; Apricot; Coral; Dark Red; Blue; Light Blue. Section 2: Apricot; Beige; Light Blue. Feel free to play around with the your stripe composition for the cushion back, or even use a solid colour! Remember to post your progress shots on my Zooty Owl Facebook page so that I can include them in next week's post! Please leave a comment! Your feedback is important to me! Hi! Yes it is a bit wider. We will still be crocheting a wide border around the front panel.